What Is YPO Southern 7? The success and strength of YPO Southern 7 (S7) depends upon member involvement that is available through a wide variety of local, state and regional events consisting of educational, networking and social opportunities. At its core, YPO S7 has a passionate and dedicated team of volunteers serving as chapter leadership. The chapter leadership teams are constantly hard at work not only growing chapter membership and increasing the number of state events, but also making the collective YPO experience more valuable and meaningful. We encourage members to get involved immediately by attending events, joining a forum, bringing resources such as speakers to YPO and participating in YPO S7 leadership opportunities. Throughout each year and across all its seven states, YPO S7 hosts over 80 events providing excellent educational and social content for its members. YPO S7 focuses on State and Signature events that provide members with opportunities to access and build their peer network at the city, state and regional levels. Signature events include an annual leadership summit, an economic forum, a songwriter event at The Ryman, a fishing tournament and a spouse/partner retreat. On a grander scale, the chapter holds three chapter-wide conferences each year, referred to as Big 3 meetings. The Big 3 meetings provide a wide variety of social and educational opportunities, normally hosting between 80 and 150 couples or families and 10 to 20 resources. Looking to enrich your personal journey of growth, learning and giving back? Each year, many YPO S7 members volunteer as organizational leaders. Your leadership journey within YPO can include leadership positions within the YPO S7 chapter, region, networks and/or committees. 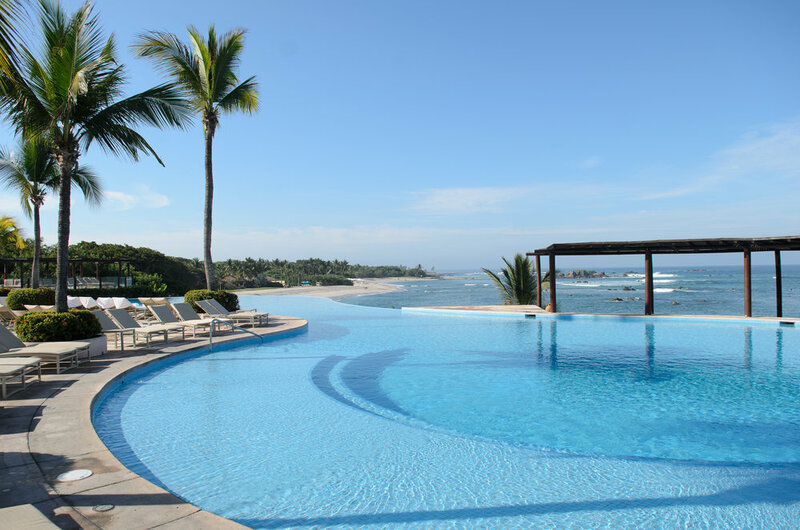 At the heart of YPO is the opportunity to join a smaller, more intimate group of members or spouses. 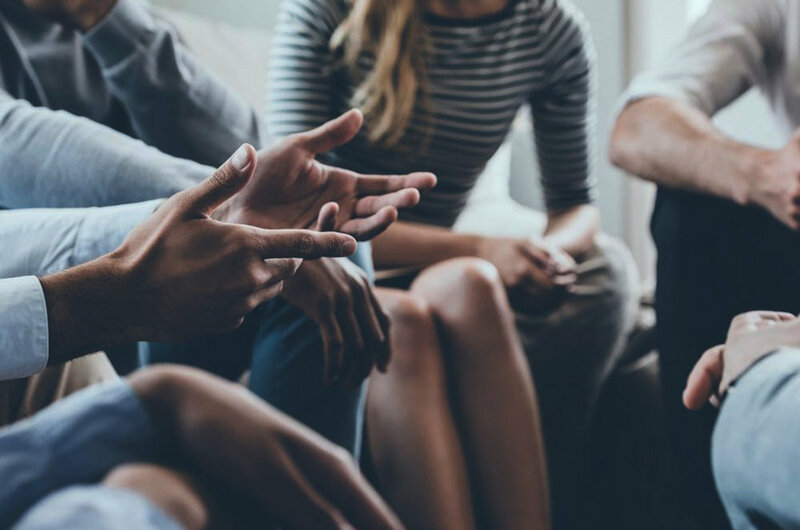 A Forum consists of groups of eight to 10 members or spouses who meet regularly to share issues and concerns in an atmosphere of confidentiality and trust. Forums operate on the principles of mutual respect and privacy and are guided by a peer moderator. Most members and spouses say that Forum participation has not only made them better in business, but also helped them to be better spouses and parents. They also cite their Forum experience as one of the most rewarding and valuable experiences within YPO. 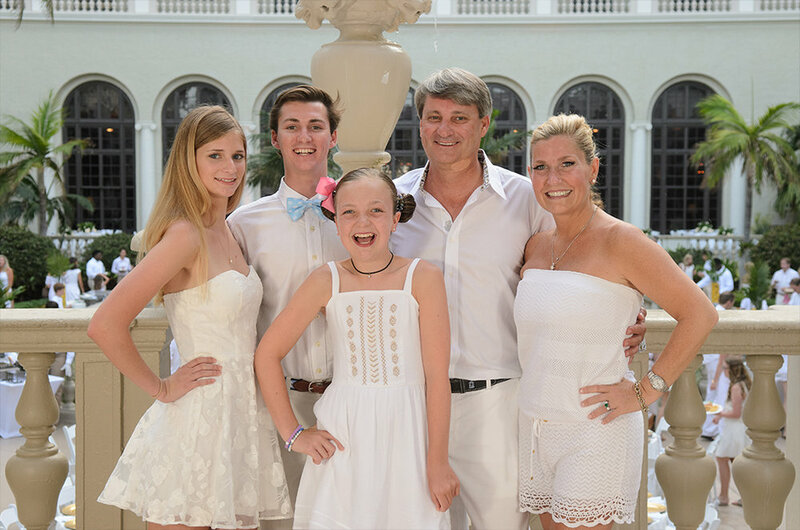 YPO S7 cares about the involvement of both spouses and families and offers a variety of chapter events with that in mind. The inclusion of spouses is a unique aspect of YPO among professional organizations, and YPO S7 is no different. The number of spouse events has greatly increased over the years, with offerings such as wine and cheese events, book club gatherings and luncheons. Past family events have included trips to museums, shows, sporting events and the Big 3 Family meeting held each summer. Where Is YPO Southern 7? 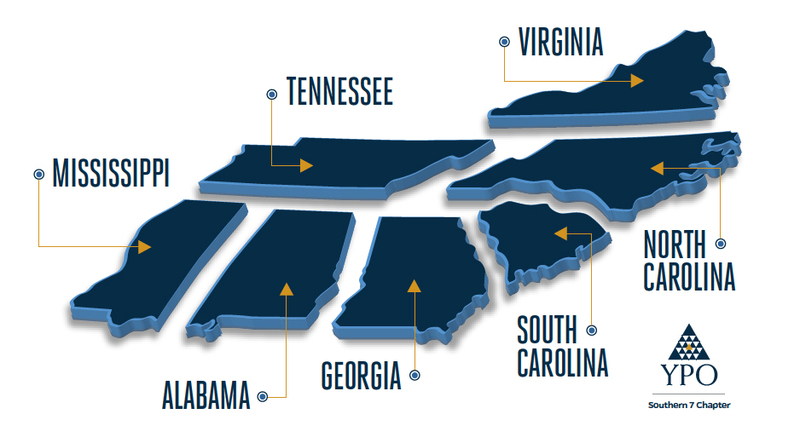 YPO S7 encompasses the seven Southeastern states of Alabama, Georgia, Mississippi, North Carolina, South Carolina, Tennessee and Virginia. © 2019 YPO Southern 7 • All rights Reserved.